Room Painting, Charlotte, NC | Pride Painting, Inc. If you’re ready to enjoy a refreshed appearance through room painting services, contact us today. When you want to change up the look of your space, one easy and cost-effective way to do that is to repaint. Room painting comes with a number of benefits, including a refreshed appearance and the removal of any stains or buildup that may have accumulated over the years. 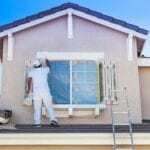 Painting also adds value to your home, making it one of the most commonly completed tasks among those who are preparing their homes to put them on the market. The color you choose for the walls can also impact the overall atmosphere. For example, blue is a calming shade while red and yellow can help the room’s occupants feel energized and motivated. No matter what is pushing you to consider repainting the walls of your home or business, our team at Pride Painting, Inc. is here to help. Although room paining is a task that some people do themselves, you can eliminate the hassle by turning it over to our professional painters. You don’t have to worry about prepping, taping, or cleaning up after the job. Instead, you can sit back and relax as our painters add a fresh coat to your walls, improving the appearance and increasing the value. We offer painting services to both commercial and residential clients located in Charlotte, North Carolina and the surrounding cities. Our company has been serving customers for 14 years and we take pride in the work we do. If you’re ready to enjoy a refreshed appearance through room painting services, contact us today.